On your arrival at Delhi airport/railway station, meet our tour representative and get transferred to your pre-booked hotel. Check-in and settle down. If time and energy permit, you can explore the nearby surroundings on your own. Enjoy your dinner. Stay overnight. Today, have breakfast and check-out from the hotel and straight away drive to Haridwar. Haridwar is one of Uttarakhand’s holiest Hindu city that is majorly visited for its holy ghat, Har-ki-pauri. Devotees come and offer sincere prayers at this sacred site and attend Ganga Arti- river worship ceremony performed on this ghat. Further, from Haridwar you travel to Govindghat via Joshimath. Also popular as Jyotirmath, Joshimath is gateway to one of the sacred pilgrimage sites, Badrinath. Check-in at a hotel in Joshimath. Dinner and overnight stay is scheduled in the hotel. 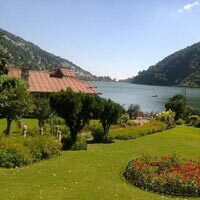 On third day of your Valley of Flowers tour, savor healthy breakfast, check-out from the hotel and travel to Govindghat. 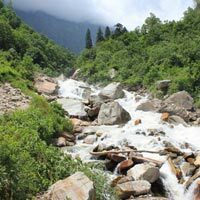 Govindghat is an important base to reach Valley of Flowers and Hemkund Sahib. Start your trek to Ghangaria. 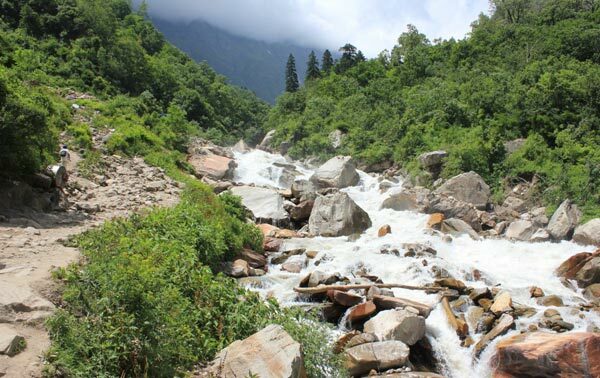 Throughout the trek you can love the scenic surroundings including the dense jungles, breathtaking waterfalls and two small villages namely Pulna and Bhyundar. On your arrival at Ghangaria check-in at a hotel and relax. 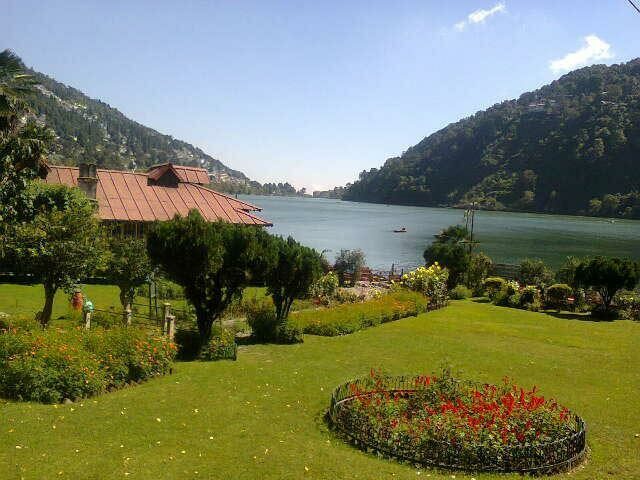 Ghangaria is a popular village that is settled at the confluence of two rivers Bhyundar Ganga and Pushpawati. The trek for Valley of flowers and Hemkund Sahib starts from this village only. Today morning, post an unhurried breakfast and start you exciting trek to Valley of Flowers. Valley of Flowers is one among the top-tourist sites for those who visit Uttarakhand every year. The site acquires an area up to 87 square kilometer and is like a wonderland for nature lovers, adventure lovers and shutter bugs. It is UNESCO heritage site that is best-known for its lush velvet meadows, flower strewn beds and endangered species of flora and fauna. Legends say that it was this place from where Lord Hanuman collected ‘Sanjevani’ herbs for Lord Ram’s younger brother, Lord Laxman. The enchanting location paints picture of variety of flowers including Geraniums, Marsh Marigold, Rhododendrons, Asters, Strawberries, Primulas and Epilobiums. The winsome scenic beauty formed by range of flowers is simply mesmerizing. And adding on to its charm is the tranquil ambience that makes it look more fascinating. Moreover, if you are lucky enough, you may also spot Musk Deer, Brown beer, Red fox, Blue sheep and Asiatic Black bear. Today, have breakfast and get ready for a trek to Hemkund Sahib. Hemkund Sahib is a highly revered pilgrimage center among Sikhs that is associated with the tenth Sikh Guru, Guru Gobind Singh. It is believed that Guru Gobind Singh Ji meditated here for several years. On your way to gurudwara, you come across attractive views of magnificent Himalayas, cascading waterfalls and lush forests. Referred as Gurudwara Sri Hemkunt Sahib, Hemkund Sahib is the highest gurudwara of Sikh community that is settled at an altitude up to 4329 meters above the sea level. It is a star shaped gurudwara that is constructed of white marbles. Offer sincere prayers in gurudwara and get the blessings of almighty. Thereafter, start your return trek to Ghangaria. Get back to the hotel for dinner and overnight stay. On sixth day morning, take your breakfast and start your trek back to Govindghat. After reaching Govindghat, drive to Joshimath and then further to Haridwar. Check-in at a hotel and loosen-up. Dinner and night stay is planned in Haridwar hotel. On seventh and last day of your Valley of Flowers tour, eat morning breakfast and check-out from the hotel and proceed for Haridwar railway station for your onward journey to Delhi.